Tyvarian International: Creating endless possibilities in bathroom design. 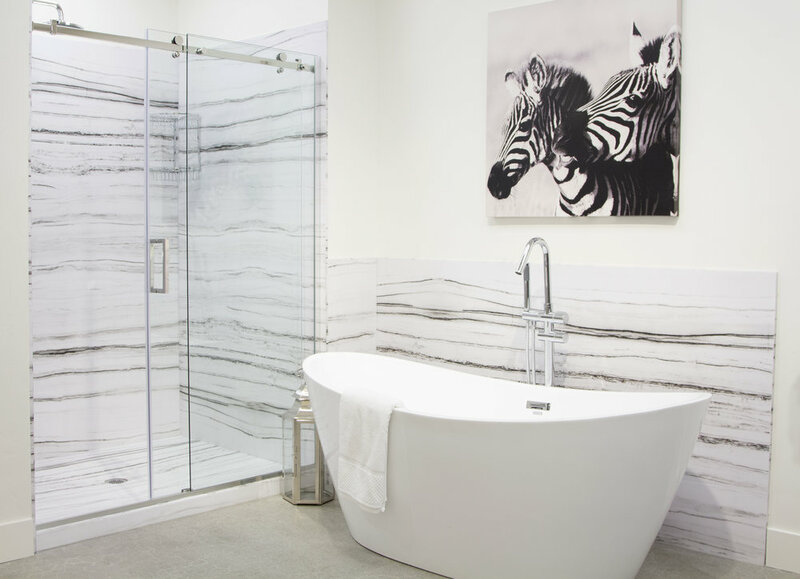 Tyvarian International is the creator of the Tyvarian ® process, providing innovative bathroom products with the luxurious look of natural stone and other designs for use in shower walls and floors, vanity tops, splashes and other applications. Homeowners, designers and builders recognize and value the unique design possibilities and quality offered by Tyvarian. You will be amazed by the colors and styles that are now available to provide your bathroom with the luxurious look you desire. Find out more about how becoming an authorized Tyvarian dealer can help you attract more customers. Find the nearest Tyvarian dealer in your area to help design and give you the bathroom of your dreams.